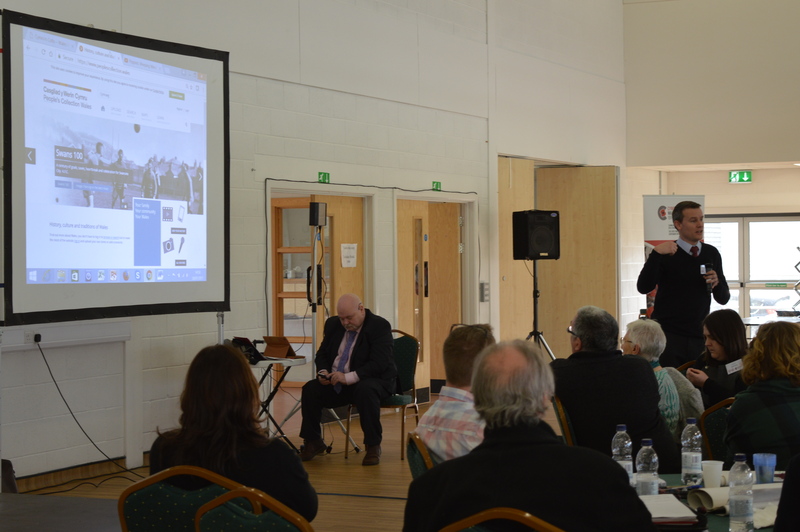 At the Partnership Day on 26 January 2017, Cymru’n Cofio Wales Remembers 1914 – 1918 in partnership with People’s Collection Wales launched a new ‘Gallery’ feature on its website. This new exciting feature brings the entire collection of photographs, letters and audio recordings relating to the First World War in Wales from the People’s Collection Wales website direct to the Cymru’n Cofio Wales Remembers 1914 – 1918 website. Users can explore the entire fascinating collection and search for content relating to a specific subject or battle. ‘The new Gallery greatly extends the audience for the remarkable corpus of historical material and artefacts which the People’s Collection has been gathering and enable visitors to the site to enrich their investigations. This is another great step forward in the creation of a digital legacy for the First World War”. To explore the Gallery feature, please visit here.